The vibrant floral print on this silk top will add a pop of color to your wardrobe. The vibrant floral print on this silk top will add a pop of color to your wardrobe. 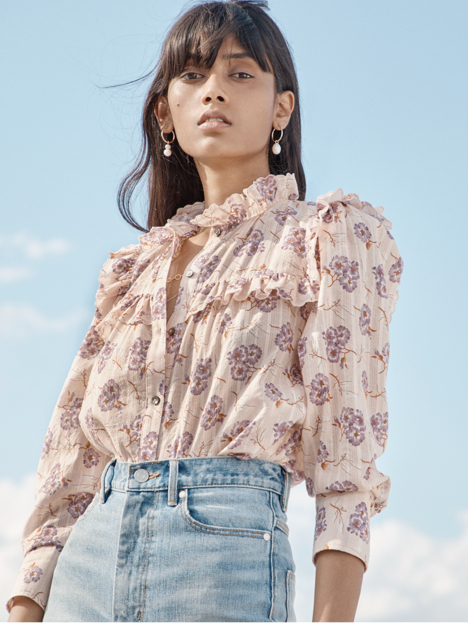 Cut with a V-neckline and tied elbow-length sleeves, this effortless silhouette looks polished tucked into jeans or trousers.